Jaguar Land Rover India has added to its sales network in the country with the inauguration of a new dealership in Jaipur. Rohit Suri, president and MD, JLR India said that they are delighted to introduce their new showroom facility in Jaipur and are committed to easing accessibility for their customers to Jaguar and Land Rover products in the city. The opening of the showroom in an upcoming part of the city is in line with that objective. Jaguar Land Rover India's current distribution network is spread across 27 outlets in 25 cities across India. JLR customers can also now book their vehicles on an online booking platform at www.findmeacar.in and www.findmeasuv.in. Jaguar's range of cars in India comprises of the locally manufactured XF and XJ which retail at Rs 47.15 lakh and Rs 96.06 lakh respectively. In addition to that, the F-Type which retails at Rs 1.26 crore will be sold as a completely built unit. Land Rover's range includes the locally manufactured Range Rover Evoque retailing at Rs 48.73 lakh and the Freelander 2 which retails at Rs 41.82 lakh. 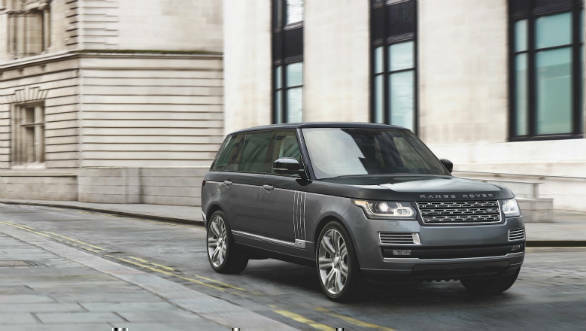 The remainder of the fleet are CBUs which include the Range Rover, Range Rover Sport and Discovery 4 which retail at Rs 1.82 crore, Rs 1.16 crore and Rs 1.11 crore respectively. All prices are ex-Delhi.